National cookie day was yesterday, November 4th! 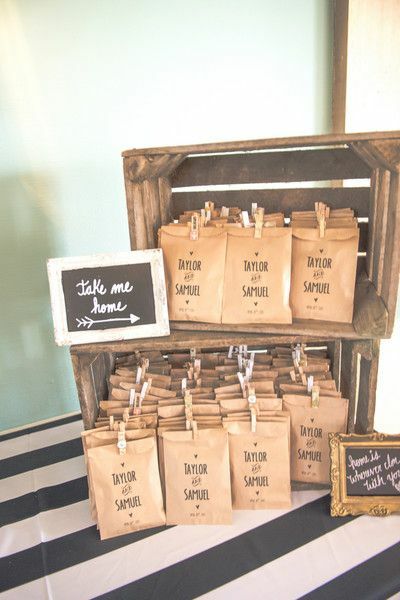 Celebrate with these awesome ideas for your dessert table, favors, and more! 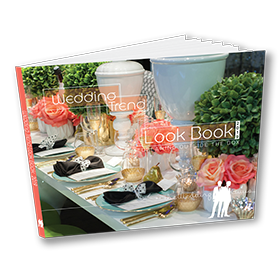 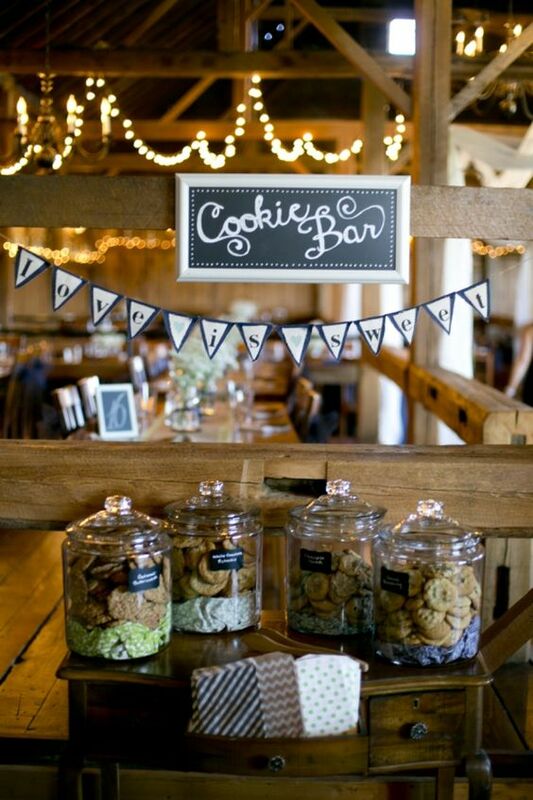 Check out these sweet ideas to incorporate cookies on your big day. 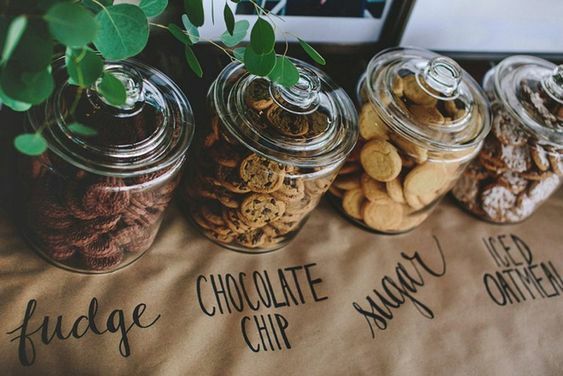 Ditch the cake or cupcakes on your dessert table, roll out the cookie bar! 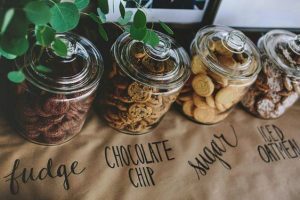 Presenting a variety of cookies in different shapes, flavors and colors in fun jars is a cute and affordable way to do your dessert table! 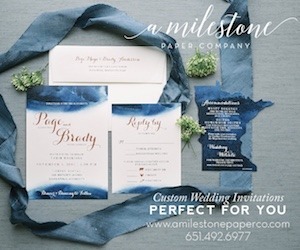 Add some personalization to it! 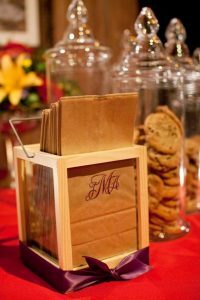 Put your monogram, last name, wedding date or hashtag labeled on bags for your guests to put their delicious cookies in! 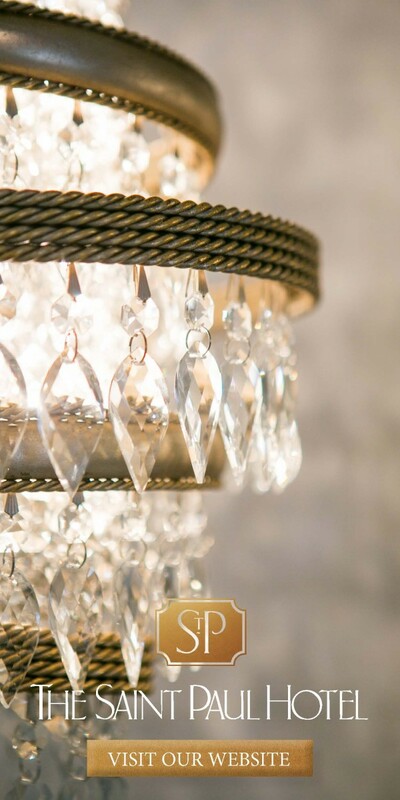 Love is sweet! Bag of cookies spruced up with some ribbon in goodie bags is a perfect and easy way to make favors for your guests. Cookie Shooters! 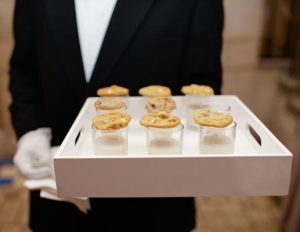 A trending way to display and serve certain foods and desserts. Serve these during your cocktail hour, a fun addition for your guests and offers a snack and a drink in one for younger guests and children!